Flowmaster Jopic is the largest importer and supplier of pool filters in Pakistan. We deal in all kind of pool filters, filter valves and filtration supplies for residential and commercial swimming pools. 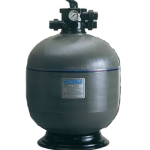 Pool filters of best brands like Hayward, Pentair , Waterco and Aquasource are available at best prices and quality.